Sighetu Marmatiei - Elie Wiesel house, the shaking Memorial of anticommunism resistance, Jewish Graveyard. Chernivtsi - Ukraine - Old Sinagogue, Jewish Graveyard, Cinema - former the Great Synagogue, Palace of Culture -Jewish National House, The Great Jewish street and other remembered places about Paul Celan, Rose Auslander, Eliezer Steinbarg, the popular Jewish singer and actress Sidi Tal etc. Romania is a country with a rich Jewish heritage. Before the second world war, the jewish life in Romania was a good one, with up to 800, 000 numbering the population. After the war, Romania had the second largest surviving population of jews, after the Soviet Union. Today in Romania there exists around 10,000 jews, half of whom live in Bucharest and 75% of those are now living in old age. 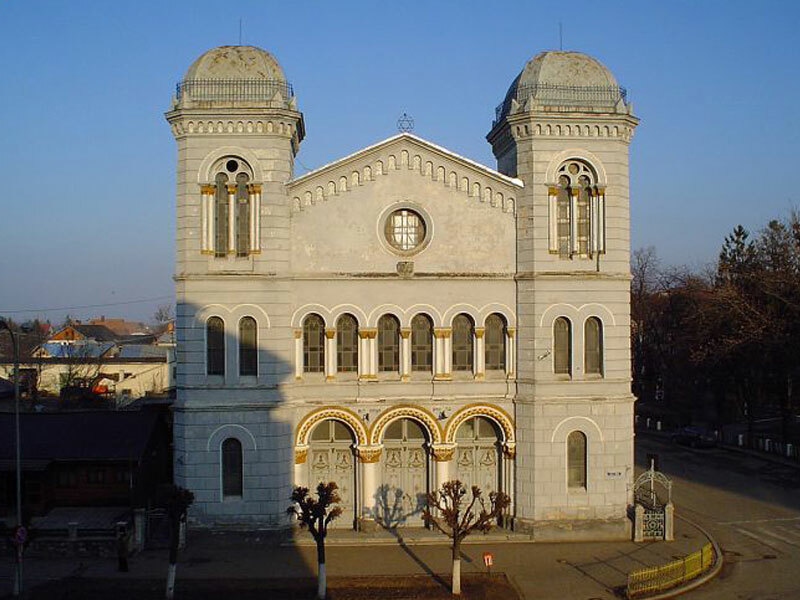 The country is unique in Eastern and Central Europe for its scores of well-maintained synagogues and cemeteries in use by Jewish communities and scattered throughout Romania. Romania is the country that gave birth to the Nobel Prize Winner – Elie Wiesel. It is a country with many beautiful and well preserved synagogues. 98 synagogues and 802 Jewish cemeteries, at the last count. Upon request, we can arrange a highly professional and friendly guide speaking English to visit and discovery the interesting sites of Jewish culture in Northern Romania - Bucovina, Moldavia and Maramures. Also we can do the trip to Chernivtsi in Northern Bucovina - Ukraine and Republic of Moldova. The Jewish heritage tours can be combined with other sightseeing in Bucovina or Maramures to have a nice, variety and attractive travel in Romania. We can design the best tour for you. Tell us what you want to do and to see most in Romania (for single and group travelers). Contact us! ©2019 AXA TRAVEL - Bucovina painted monasteries tour, Maramures, Transilvania and Moldova guided tours. All rights reserved.